I admit that up until a couple of years ago, I wrongly assumed that anything masterful released by the legendary Studio Ghibli must have been the work of the genius of animation, Hayao Miyazaki. I had carried with me a love for two films in particular, Spirited Away and My Neighbor Totoro, and sure enough they were both works crafted by Miyazaki himself, thus I would refer to anything similar as a "Miyazaki film". It wasn't until I fell madly in love with their recent effort The Secret World of Arrietty and I saw that it was directed by Hiromasa Yonebayashi that I recognized that the studio was bigger than a single piece, no matter how spectacular and influential that piece is. Isao Takahata was the co-founder of Studio Ghibli with Hayao Miyazaki, yet shamefully as of only a few hours ago his entire filmography was a total blind spot for me. Yes, that includes the supposedly masterful Grave of the Fireflies, a film many consider to be one of the finest achievements in the history of animation, a work I promise to sit down and admire sooner rather than later. 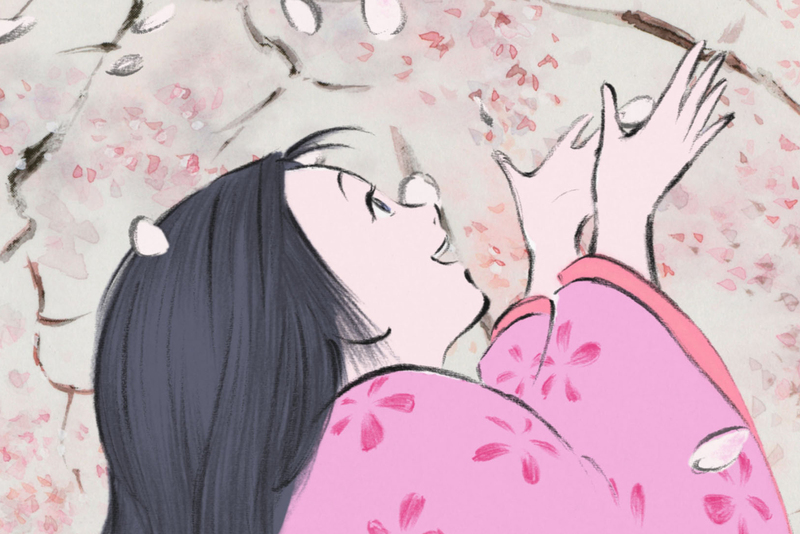 Takahata is now 78 years old and his most recent effort, The Tale of the Princess Kaguya, has been nominated for the Best Animated Feature Oscar. It was time for me to lose my Takahata virginity. My god, it felt so good. Magical. Mystical. Gorgeous. Devastating. 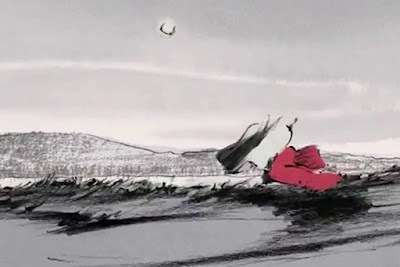 The Tale of the Princess Kaguya is an absolute work of art, and it is not only the finest animated film of 2014, it belongs in the conversation regarding the best movie of any kind from last year. 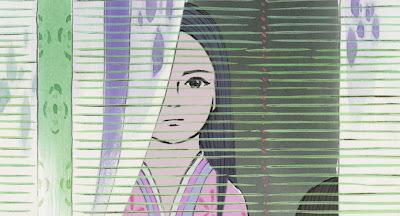 Initially I would imagine the style of animation can be a bit off-putting , as it is a far different pill to swallow than the vivid eye candy pumped out by the computers of the major studios each year, but as I have always preferred the hand drawn artistry of a Studio Ghibli film I had no problem quickly adjusting. The film begins in a bamboo forest as a man is cutting down shoots until one that is glowing stands out for obvious reasons. Inside it he discovers a miniature girl, and considering the bizarre circumstances he believes she has to be a divine miracle, one that he must bring straight home to share with his wife. What becomes quickly apparent is that she certainly is no ordinary child, as she grows far more rapidly than normal, and the two decide to raise her as their own. They decide to call her "Princess". The beauty of a Ghibli film shines through again here, which is the fact that there is no correct singular way to appreciate the movie presented to you. One can simply sit back and be swept away by the magic of the experience, choosing to write off any portion of the narrative that might otherwise confound as merely being that way due to the fairy tale nature of it all. Others can dig deeper and really allow the prevalent themes of the work to wash over them, as Takahata clearly has so much more to say with this story than what is presented on the surface. This is why I often use the word "genius" when referring to Miyazaki and Studio Ghibli as a whole: when you are smart enough to know exactly how to make a film that can appeal to absolutely anyone regardless of how they choose to approach it, you have accomplished something worthy of massive admiration. 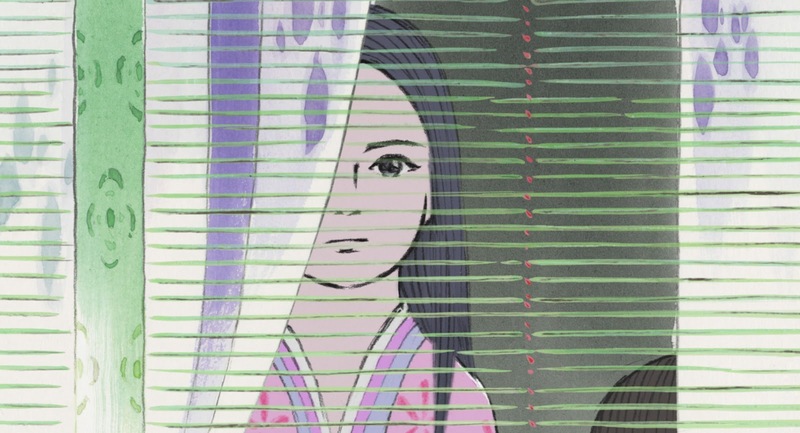 As strange as this may sound, considering how incredibly different the two films are, The Tale of the Princess Kaguya resonated with me for similar reasons as Richard Linklater's Boyhood did. I watched Princess grow up, and while it was joyous she grew far too fast. The progression of Princess felt like a true coming-of-age story, and as she got older she faced issues that are meaningful to any adolescent: depression, romance and the desire to follow your own path rather than the one expected of you. In the end, the idea of having to say goodbye, the idea of letting go of that child you raised, the one you love with every fiber of your being is beyond heartbreaking. It's a feeling that I cannot pretend to comprehend until I face it myself one day down the road with my own daughter. Right now she looks to me to be her everything, to life her up when she falls, to make her smile when she's down, to literally rub her back when she has trouble falling asleep. Eventually she will not need me in those ways anymore. It's inevitable, yet knowing this doesn't make it carry any less emotional weight. 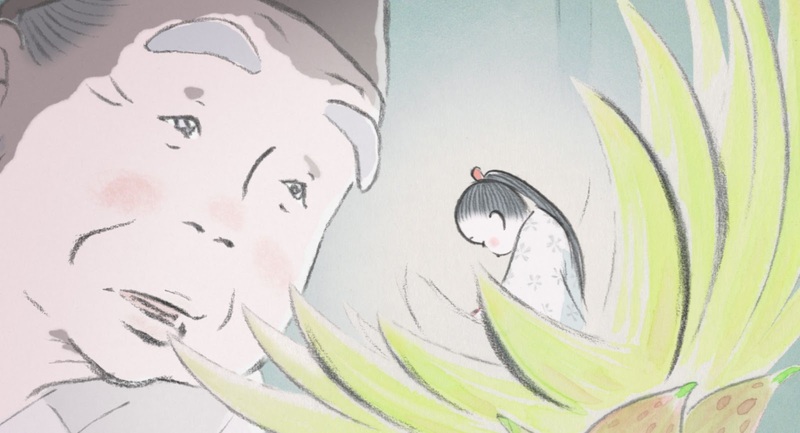 The Tale of the Princess Kaguya feels like a fable I want to experience on repeat and yet in part a reality I want to delay for as long as possible. The film features sequences that are so breathtaking and refreshingly unique, I couldn't stop myself from smiling and literally saying "wow" aloud to myself as I watched. I doubt this is a work that will lose its power on a revisit, yet I can't help but wish I could go back and do it again for the first time, experience some of the more remarkable moments with fresh eyes and without anticipation. You have just strengthened my desire to see this film. I have been a fan of Studio Ghibli for years. And just so you know Grave of the Fireflies is one of the most depressingly lovely films of all time. You will hurt with the characters in ways that rarely happen when watching movies. Thank you very much Lisa, I appreciate it, and if you are a Ghibli fan then you absolutely must see this film. I am expecting something truly special with Grave of the Fireflies, I even have a copy at home. My one attempt to watch it was put on hold roughly 15 minutes in because my daughter woke up and assumed she could join me, but as you are well aware it isn't exactly kid friendly Ghibli like the ones she is used to. Soon enough I will watch and review it, I promise. Thanks again for reading!